How To Match Your Budget With Your Bathroom Remodeling? So you decide to redecorate your bathroom, and you realized that spending money on that is way above your budget. The good news is that you do not have to spend a fortune to create a real deluxe spa retreat. There are plenty of ways to redesign it with a smaller amount of money. In this case being creative and imaginative is mandatory, and you need to it as much as possible. 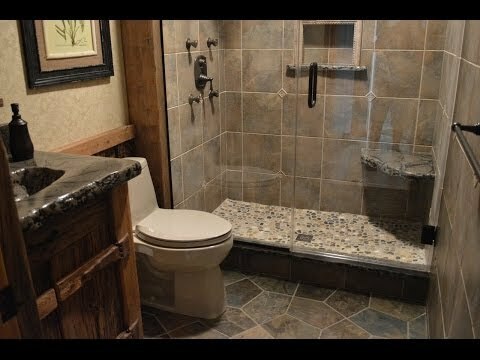 How creativity and imagination can help you improve your bathroom? First of all expensive does not mean that something is pretty and done with taste. How many times have you seen the most deluxe bathroom looking like a complete disaster? Less means more is a great expression when it comes to design. Sometimes people ruin their bathrooms by trying to make it unusual or effective. How many times have you seen animal print to make safari style?If you want to use your creativity, you should focus on details. This is especially important in the case where your tiles are not that bad, and you do not have to replace it. You can only replace your accessories, make sure you choose the quality one, to avoid remodeling your bathroom again within less than a year.However, if you do need to change your tiles, you can be smart and limit them. What does this mean? You can simply play with them, place them only on critical or important surface and the rest simply paint. You can also combine cheaper tiles with the expensive ones. This way you will not just save money, but also enjoy redecoration. Do not buy new, just redo! Even if you think your tab is too old and it needs to be replaced, you can do something and achieve more than you’ve expected. Instead of buying a new tab you can simply reline it, especially if your tab is the old-fashioned. You can refresh it and make it look more expensive with that new-vintage style. However, avoid this with shower and sink; it is more expensive than their replacement. What is cheap for someone can be very expensive for you. This is the main reason why you should buy used toilets, showers, and others, to save money on fixtures. There are thousands of sites that are offering this type of service, and it is also a way of recycling. This way we are protecting our environment. Besides eBay, Etsy is one of the most popular among the customers. Here you can find an artist that redecorate old things, turning them into cool colored vintage objects that are handmade and unique, so you can be assured that your bathroom is only remodeled with that style. Before you decide to take any action, simply put everything on the paper and do your calculation according to your specification, standards, and taste. After all, you are going to use it most of the time. As the most experienced company in the region, we are proud to present our product range. We are constantly trying to find a new solution to improve our service.